Plumbing difficulties can be intimidating, especially when you don’t have any plumbing expertise and you don’t know whether your problem is big or small and how much it’s going to cost to fix. That’s where we come in. At Mark Lindsay, we have plumbing experts available all the time, even on evening and weekends, so you can always rest assured that there’s someone available to handle your plumbing needs. Do you need something new installed in your bathroom or kitchen? Whether you have a new toilet, sink, shower, faucet, garbage disposal or something else we can help you get the plumbing right so that everything works the first time. We can even help you choose your new fixtures if you aren’t exactly sure what you need. Our expert plumbers take pride in treating your home as if it was their own. They will take care to always protect your floors, and they will never give you advice that they wouldn’t take themselves. They will also stay until you are satisfied that everything is working and looking exactly the way you want it. We install water heaters, too. If yours is broken or it’s just time for a new one, give us a call. We’ll help you choose one that’s the right size for your home, or we’ll help you find the tankless water heater that is right for you. No matter what you choose, we’ll get it installed for you quickly and painlessly. When something isn’t working well, you learn just how important it is that the water in your home flows correctly. Never fear, though. We can help get things back on track. 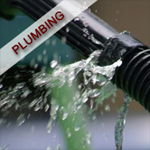 No matter how big or small your plumbing problem, our expert plumbers will tackle it. They have quite a bit of experience, so you don’t ever have to worry that they won’t know what to do when they get to your house. We repair anything and everything related to your plumbing. We’ll work on your toilet, tub, shower, and sink. In the kitchen, we’ll handle your garbage disposal, drains, water lines for your refrigerator, installing your dishwasher, and more. Throughout your home, we’ll handle any leak, drip, or drain problem you might have. We even handle sewers and can repair yours quickly and easily with trenchless sewer repair technology. We take care of basic plumbing repairs, but we can also work on larger, more systemic issues in your home. Our plumbers can take care of slab leaks, too, which intimidate some plumbers. Don’t worry! Just call Mark Lindsay and get the plumbers you need for your scariest home plumbing problems. Many plumbing accidents don’t happen when it’s convenient. If something breaks, backwashes, or overflows at night or on the weekend, we have someone available to come to you. Just give us a call, let us know what your plumbing emergency is, and we’ll get someone out to you just as soon as possible. We know that every homeowner dreads water damage. That’s why we have someone standing by. We’ll get your water turned off, then assess the problem and let you know what needs to be done to fix it. No matter how big it is, we will do all we can to get it fixed for you as soon as possible. Do you have a plumbing issue that needs taken care of today? Maybe you have some questions about some projects you’ve been considering. Give us a call and we’ll send out an expert to help you out or answer all of your questions. At Mark Lindsay, we treat you like you’re family.